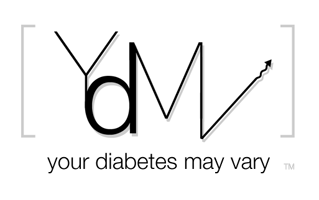 Your Diabetes May Vary: Who's It Hurt? I just gave a kid an insulin shot. Since my guys are on pumps they don't use a lot of needles They do their own sharp work when they do. I am little dude sitting the 5 year old from up the path. He is slowly working on lunch and watching Pixar's The Incredibles with me. I love this film. It a great story about the real adventures of life. Anyway the little dude needed his shot. He scrunched his face up but took the shot without flinching. "That didn't hurt," he said when I finshed. I needed that. How is it that he knew to reassure me? We are going to watch toy story 2 next. I think there is enough adventure in life without needing insulin shots or finding a babysitter who knows how to do insulin shots. We have yet to hire a babysitter since our daughter's diagnosis. The grandparents watch our kids at night on occasion, but I always had to draw up her Lantus ahead of time. Grandma was a pro at the Novolog Jr. pen, but was nervous about the syringe. Now that we're using a pump, maybe we'll actually get a babysitter. Good job giving the injection!